UK ENGLAND LONDON 6OCT04 – Painting by Iranian artist Maryam Hashemi from 2002. © All images Jiri Rezac 2004 – All rights reserved. Special visiting guest: Nepalese poet, has published seven poetry collections including Annapurna Poems, (Nirala, New Delhi 2008), Everest Failures (White Lotus Book Shop, Kathmandu, 2008) Way To Everest: A Photographic and Poetic Journey to the Foot of Everest, (Epsilonmedia, Germany, 2006) a translation of Irish poet Cathal O’ Searcaigh poetry in Nepali in a bilingual collection entitled Kathmandu: Poems, Selected and New, 2006 and a translation of the work of Israeli poet, Ronny Someck, into Nepali .Yuyutsu’s own work has been translated into German, French, Italian, Slovenian, Hebrew, Spanish and Dutch. Elizabeth Faitarone – dance poetry fusion (Argentina). 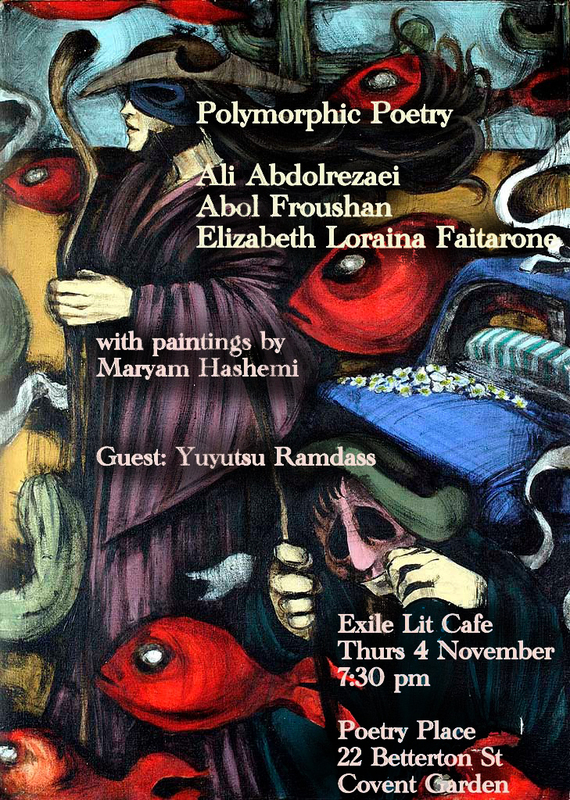 Maryam Hashemi who recently held an exhibition at the Canal Museum, London and has appeared in documentaries on artists in exile, will be exhibiting some of her paintings as backdrop. Shabibi Shah was born in Kabul. She has a degree in journalism from Kabul University and taught for 12 years at the Women’s Institute in Kabul. She came to the UK in 1984 as a refugee with her family. She has always been involved with refugees as an interpreter and is currently working with the Ruth Hayman Trust and the Afghan Paiwand Association. 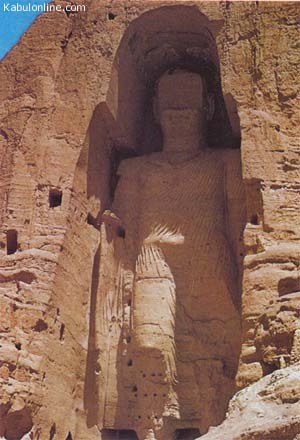 Karim Shirin came to the UK in 1994 from Laghman. He writes poetry in Pushtu and began writing seriously four years ago. He is Chairman of the Afghan Association. Ayesha Tarzi came to England from Kabul in 1980. She is author of the novel Red Death (1985) and The Night Letter. She worked for the Inner London Probation Service. Ahmad Zayar came to the UK from Jalalabad in 1997. He was professor of Linguistics at Kabul and Jalalabad universities.He writes in Pushtu and has published seventeen collections of poetry. and 2005. She is a columnist for Al Quds Al Arabi newspaper and has participated in numerous cultural, political and human rights events and anti-war campaigns in Jordan, Algeria, Dubai, Paris, Morocco and London. Rabai Al Madhoun was born in Al-Majdal Askalan, Palestine in 1945. He has been working in the media since 1975. He is author of The Idiot of Khan Younis; short stories (Arabic language), Beirut 1977, The Palestinian Uprising: Method and Structure , 2 editions; Sharq Press, Nicosia-Cyprus 1988 and Dar Al-Aswar-Akko, Israel 1989, TheTaste of Separation (autobiography), Arab Institute for Research and Publishing – Beirut and Amman 2001. 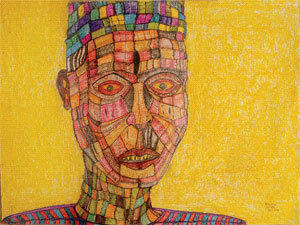 The Lady from Tel Aviv, (novel) , 3 editions, Arab Institute for Research and Publishing -Beirut and Amman 2009, 2010. The novel was shortlisted IPAF 2010. Professor Bresheeth is a filmmaker, photographer and film studies scholar at the University of East London. He is also a poet. He was Dean of the School of Media, Film and Cultural Studies at Sapir College, Israel. His books include Introduction to the Holocaust (1997) and Holocaust for Beginners (1993). His edited volumes include The Gulf War and the New World Order, (with Nira Yuval-Davis) (Zed Books, 1992), Cinema and Memory: Dangerous Liaisons, co-edited with Zand, S and Zimmerman, M Jerusalem, Zalman Shazar Centre (Hebrew) 2004, and Third Text (September, 2006) on Palestinian and Israeli Art, Photography, Architecture and Cinema (co-edited with Haifa Hammami). His films include ‘State of Danger’ (1989, BBC2), a documentary on the first Palestinian Intifada. 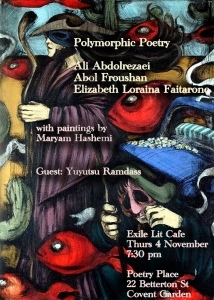 With music by Yalla! – the female fight back against discrimination, racism and inequality – today brings you a condensed version of their full line-up; a fusion of hip-hop poetry, Arabic beats and klezmer melodic lines – from different ethnic backgrounds and musical styles. Historian and literary activist. 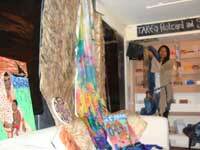 Has been part of CAM (Caribbean Artists Movement) and CACOEU (Caribbean Communities in Europe) and many more. Author of ‘Journey to an Illusion’(1966, 2001). 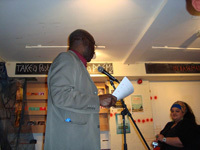 He has been part of important developments in postcolonial Caribbean-British literature. Early post-war worker from Jamaica. Freelance writer/editor and published poet, with experience of producing work for magazines and poetry anthologies. She is editor of Brown Eyes (2005) and Sexual Attraction Revealed (2007), both Shangwe produced anthologies of creative expressions by black and mixed-race women. Member of the Society of Authors. Born in London of Guyanese and English parentage. Accomplished storyteller and poet. Works and performs in the community and at the British Museum and founder of WAPPY – Writing, Acting, Performing and Publishing for Youngsters – whose latest performance was at the national Huntley Conference. 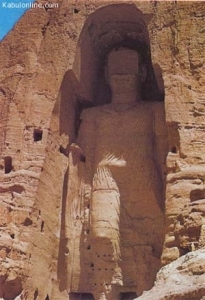 Poetry published in ‘Unheard Voices’(2006) and more. Born in London of Ghanaian parentage. 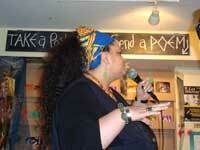 Performance poet, trade union activist, artist and former vocalist/songwriter. Member of Brothaman Poetry Collective, co-host and resident poet of Nu Whirled Voyces. She is elected to the Public and Commercial Services Union National Executive, ACTSA NEC and the TUC Race Relations Committee and specialises in equality. 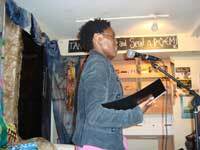 She recently organised a Poetry 4 Haiti event at the Poetry Café. Born in London of Trinidadian and British parentage. Poet who has recently begun to explore the Japanese Haiku form, she is an ESOL/EFL teacher who likes to use images to inspire writing in her classes. Also featured in Nicole Moore’s forthcoming anthology. Born in London of Vincentian and Jamaican parentage. 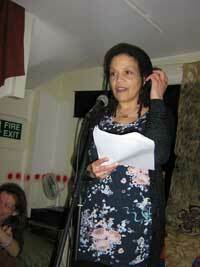 Long-time activist, trade unionist, university sociology lecturer and poet in London and Sheffield. Writes for ‘Multicultural teaching’ and others; former editor of the African-Centered Review. Race relations speaker, community development and regeneration organiser and more. Born in Barbados. Esmail Khoi is one of Iran’s most acclaimed poets. For decades now, he has been at the centre of the country’s intellectual and aesthetic upheavals. He was educated in Iran and England. His voice, mixing a defiant poetic persona with the philosophical musings of a contemplative intellectual, at home or in the Diaspora, Khoi has fashioned a voice that is both unique and deeply rooted in the best traditions of Persian poetry. Moris (Musa) Farhi, MBE, born Ankara, is a prize-winning, novelist, poet, playwright, TV scriptwriter, essayist and human rights activist. A vice president of International P.E.N, he is also a Fellow of the Royal Society of Literature. His novels include ‘Children of the Rainbow’, ‘Young Turk’ and the recently published, ‘A Designated Man’. Professor Haim Bresheeth, is an Israeli filmmaker, photographer and now film scholar at the University of East London. Writer and poet, his books include ‘Introduction to the Holocaust’. Dr Frank Grozsmann, born Budapest, lived throughout the Nazi Occupation and from 1948, the Communist takeover. Escaped to UK in 1957. A Consulting Engineer by profession he is also a published poet and translator. Ivy Vernon, attended school and university in Baghdad . In 1970 she and her family fled from the terror of Saddam. Her highly acclaimed book ‘Bagdad Memories’ recalls the life of a Jewish girl and her community against a changing political background. Amanda Epe: Amanda is a London born and bred African of Nigerian-Ghanian heritage. A creative writer at heart, producing essays and poetry and stepping into short stories. 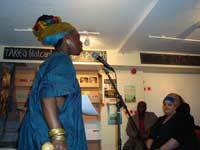 She owns two published poems- ‘The Diaspora’ and ‘Afro- Britons’. Her essays are memoirs of personal experiences. She has recently created a space for similar writers to share their experiences and short stories. Life is not all about the pleasure of writing, her regular work is in Education. Ayo Akinfe: born in Salford, Manchester , is a London-based journalist who has worked as a magazine and newspaper editor for the last 20 years. Spent his key formative years in Nigeria where he saw the kind of horrors poverty, an unfair trading environment, under-development, corruption and mismanagement visits on African countries. Fuelling the Delta Fires, recently published is one of a series of novels aimed at highlighting Africa ’s sorry plight and the misleading image peddled about her. Handsen Chikowore: Handsen is originally from Zimbabwe and was forced to leave by the Mugabe regime. He started writing poems in Shona when he was 15. His poems have been published in different journals, newspapers and magazines across the globe. Professionally, he is an accountant. Bryan Bailey: He is black British of Caribean parentage and grew up in England. I write to be able to share my feelings and express my deepest thoughts. If others can relate, then that makes me happy. I have been “playing about with words” since i was 13 years old. Only recently in the past couple of years being encouraged by friends and family to take a more “serious approach”. Either way, its still fun and love coming up with new poems when i can. I’ll approach any subject that takes my fancy. Any thing that i feel really passionate about. I have appeared regularly on radio (Roots FM), had poems printed in publications such as the Voice Newspaper and GMag, a bi-monthly entertainment magazine.